In a movie theater full of robots, apes and huge special effects bouncing from screen to screen during the high point of the summer season, seeing a poster just featuring two people talking to one another with a guitar case in between them is refreshing and filled my eyes up with joy. With every single film trying to be the biggest event in the world, a small film like Begin Again, which is just trying to tell its music love story and present us with its realistic characters, is highly welcome, and, oddly enough, stands out and does so by giving its audience just that. 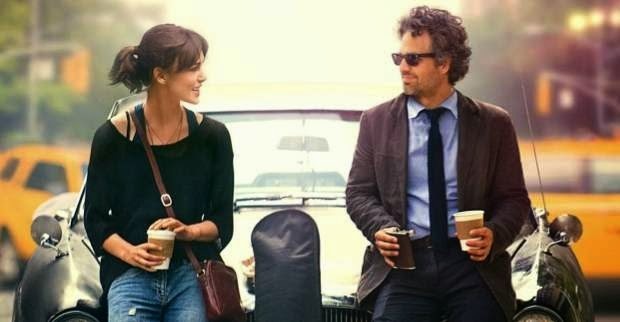 Begin Again was a film I had been looking forward to, as I am a fan of stories involving music and relationships between people who are stuck in a rut, but I also was excited to see John Carney continue his career. In 2006, he wrote and directed Once, a film that I consider to be the best musical ever made and was a movie that showed how important music is for people, as well as presenting extraordinary relationships, even non-romantic ones. It is a romance about the people that come into your life and make an important change, even if they are just there for a short period of time. John Carney knew this was something to be shown. I don’t know how musically talented Mr. Carney is, but even if he can’t play an instrument, he definitely proved he understands the power of music and what it can do to people in Once and, thankfully, both of these qualities are also shown in Begin Again, where he also wrote some of the music and presents that along with other good aspects. —through enjoying what they do. By far the best side of this film is not only the original soundtrack, but also the characters’ reaction to the songs—either those they themselves have written, or the ones they have discovered by someone else. Quite possibly the best scene I have viewed all year is when Dan hears Greta’s song for the first time (near the beginning of the film), and starts to imagine musical accompaniments playing along with her. John Carney shows Dan’s mind in a creative way that only a film can do and I loved how he thought to do that. 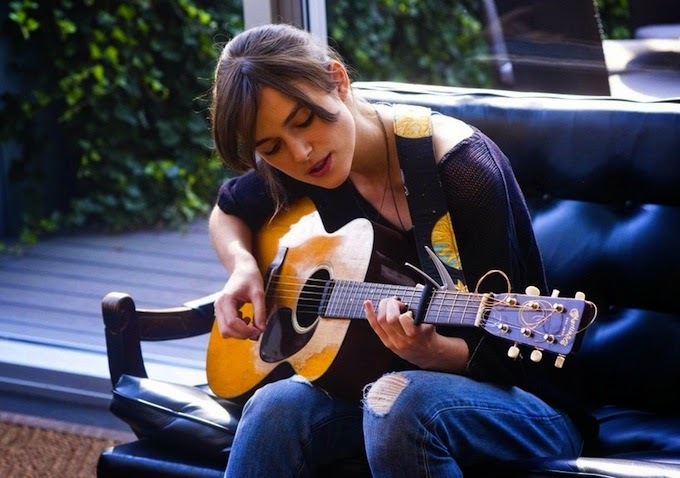 Further, of great surprise, is that Keira Knightley CAN sing, and she does it very well. I’m actually shocked she has never done a film before that shows her vocal skills. Well after seeing the movie, her voice and those songs were swimming in my head, particularly “A Step You Can’t Take Back,” the opening to the film, and “Lost Stars,” a ballad of losing hope and gaining it back. The songs were something I was worried about before going in, knowing that Once’s soundtrack was entirely done by Glen Hansard and Marketá Irglová. Thankfully, however, Carney was able to find and create really good music without his friends. John Carney helped write “A Step You Can’t Take Back” and another song, “Like a Fool,” but most of the music was composed by Gregg Alexander, of the ’90s band New Radicals. The story is also told very well. Two people meet each other and start to help each other, even though they never enter a sexual relationship, such as in Lost in Translation and Once. These films show that love can be experienced through other ways, and that some people can affect you in ways which are not traditional, but probably just as important. The partnership between Dan and Greta was very sweet and felt very real. It is a joy to see them compose music together throughout the city, as well as to see them help each other out; Dan helping Greta get over her previous boyfriend, and Greta helping Dan develop a stronger relationship with his family. While this can get predictable at times, I never really minded that. I loved the journey these two went through. And to see them reclaim their love of music and their lives was something that I enjoyed watching. Greta was a fine character that many can relate to, and Dan was really interesting and complex. The film does a good job of making you think one thing about him, almost like an antihero, but then lets you naturally think another thing as you learn more about him. Your mind becomes open to these two images as the story flows. Their journey took them across New York City, recording their album at, for example, subway stations, Washington Square Arch, and Union Square Park. They presented our city beautifully and showcased perfectly what I, as a resident, love about living there. The supporting characters in the film are also good, though not as developed. Adam Levine, from Maroon 5, plays Greta’s ex, Dave Kohl, and, not surprisingly, does well as a famous singer. Seeing his relationship with Greta—before their breakup—worked; and after, Kohl knows he screwed up big time. On a side note: Adam Levine chose to do the movie for free. I give him a ton of credit for this as it was awesome of him to do, and he worked well in the film. Hailee Steinfeld is Dan’s daughter, Violet. I have not seen her in anything since 2010’s True Grit, where she blew me away with her performance, so I am glad her career is continuing and she does a good job with the small role she was given. James Corden is also memorable as Greta’s close friend Steve. He is not on screen much, but he is a fun character to watch interacting with Greta. Cee Lo Green is also in the movie, but he does stick out. His character’s name is TroubleGum, but I felt like I was just watching Cee Lo Green, which isn’t bad per se, but it did take me out of the movie’s world a bit. 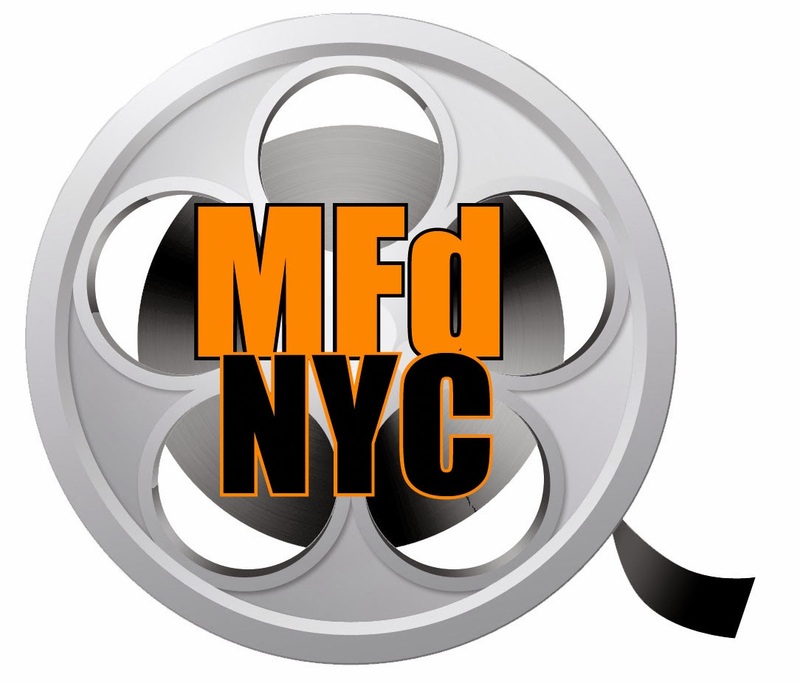 The only negative aspects I have with this movie are minor, but may be problematic for some. As I have said, the story is a bit predictable, and because of that, it does not have the refreshing feel that Once did. Begin Again is not a movie that will blow you away, but it is a simple, well-made film from someone trying to tell his story, and he does it successfully. After sitting through many films that try to be huge and the best movie ever, it was nice to see a film simply about people, music, and a combination of the two. While probably not one of the greatest movies ever, this is definitely a good one that so far is a favorite of mine for this year.